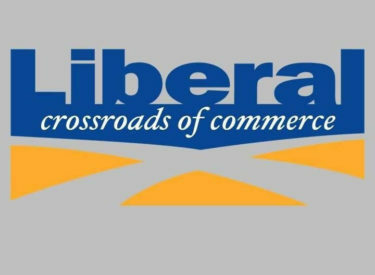 The Liberal City Commission met early Tuesday afternoon and approved several items pertaining to the Wastewater Treatment Plant. The Commission approved both parts of the Kansas Water Pollution Control Revolving Fund Interceptor and Waste Water Treatment Plant Rehabilitation and Upgrade Project, the execution and approval of the First Amendment to the loan agreement with the KDHE. Also approved was the contractor for the project and that was the low bidder on the project Walters-Morgan Construction Inc. of Manhattan KS in the amount of $30,793,503.83. Commissioners also approved the acceptance of a local Grant to purchase Ipads, Toughbooks and case. Total cost came in at $20,030.76 with the monies to come from the Grants and Donations Fund. The Commission approved the purchase of 780 cases of trash bags for the Solid Waste Department, which in turn will be sold to the public. Total cost of the bags was $31,902.00. The City Commission also approved the acceptance of a $25,000.00 donation from Southern Pioneer Electric to help offset costs in the ballfield upgrades.